Rema Boscov is an artist, writer, and teacher. She has worked as an Artist-in-Residence for three of our national parks, Buffalo National River, Voyageurs National Park and North Cascades National Park. A former journalist, she wrote for various newspapers and magazines, including The Washington Post and The Boston Globe. Her poems have appeared in numerous journals. Rema has taught nature-writing, memoir-writing, studio art, art history, music history, and has offered private flute lessons. She sings in and occasionally accompanies the Leverett Community Chorus. Currently, she teaches Qigong, the Chinese practice devoted to the movement and study of qi, energy or life force. She lived in Ethiopia as a Peace Corps Volunteer, and in Malawi. 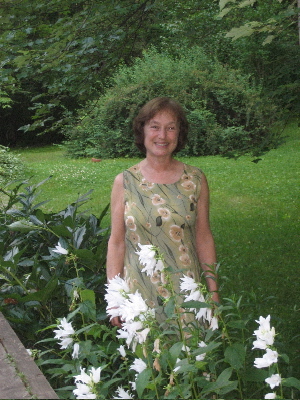 She makes her home and garden in Leverett, Masssachusetts.